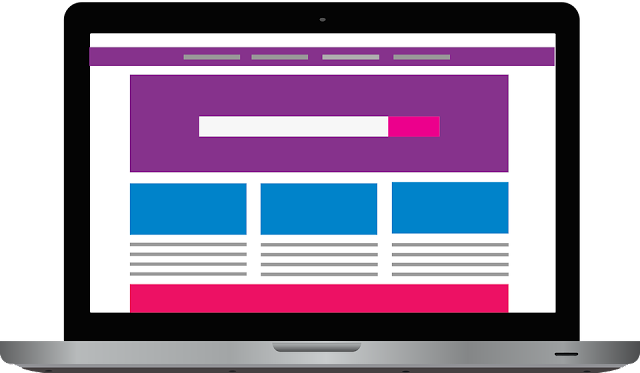 It can come as a surprise, but the average lifespan of a website is just two years and seven months. However, any expert you ask will tell you that this number isn’t exactly set in stone and that it depends on a variety of factors. What are those factors, you may ask? Why do some websites have a long, prosperous life while others fade out quickly before anyone realizes they exist? Let’s take a look at the elements that can influence the life expectancy of your website. Content is the number one factor that affects your website’s lifespan. Lack of quality content from a website content writer, means lack of backlinks, and lack of backlinks means bad rankings. It’s the easiest way to make sure your website dies before it even has a chance to gain a bit of audience. That said, the first thing you’ll have to do to extend your website’s lifespan as much as possible is to work on creating amazing, SEO-optimized content. It’s pretty easy – the more you update your content, the more your website can stay relevant and ahead of your competitors. Google has created a Freshness Algorithm that calculates, just as you’d expect, the freshness of your website and content. It considers four crucial factors when deciding where to rank your website: generic results, mobile results, local results, and fresh results. Fresh content is relevant content that people will find useful at the time they will search for it. Through the Freshness Score, Google will identify new content and will make sure to rank it high so that interested prospects could find and access it easily. There is a reason why Google is the biggest search engine in the world – it caters to its users’ needs and makes sure they always find what they’re looking for as fast as possible. There are two types of inception scores: the inception date of a document and the inception date of a document when it first appears in search results. Search results will vary depending on the queries your audience uses, but once the search engines have picked up on the inception date, it will become part of the overall Freshness Score of your content. Backlinks are still an important factor that affects how your website is ranked. Sure, other factors determine a website’s SEO success, such as content quality, mobile architecture, speed, URLs, HTTPS, HTML structure, ads, social media reputation, and so on. However, backlinks continue to be one of the primary, most impactful factors. So, are your links trusted? How many links lead to your web pages? Did you purchase any of them to get a better ranking? The more backlinks you have, the more your Freshness Score will increase. However, keep in mind that the Freshness Score of the website that links back to your page will also have a say in your ranking. That’s why doing everything you can to get links from every website under the sun is a waste of time and will get you nowhere. It might even do you more harm than good, so steer clear of it. Instead, you should focus on SEO techniques that will have a positive impact on your website’s ranking. For instance, update your content to make it relevant to your audience’s current needs. Also, don’t forget that it will take some time to see the results of your link building efforts. So, be diligent and focus on creating high-quality content and getting backlinks only from reputable sites in your niche. Your website ages along with your business and your audience. The minute these three are out of sync is the exact moment your website starts to age and go downward, bringing you disappointing results. Keeping your website content fresh is not an easy task, but with attention to detail and a clear vision, it is possible to succeed. I hope you enjoyed this article about the ranking factors involved in the life expectancy and page rank of your website content.